Manshen Lo created the artwork for the cover of the Nostalgia issue of Varoom. When she produced two beautiful colourways choices we thought it would look amazing to have four different versions for the cover. We asked her about her concept and process. 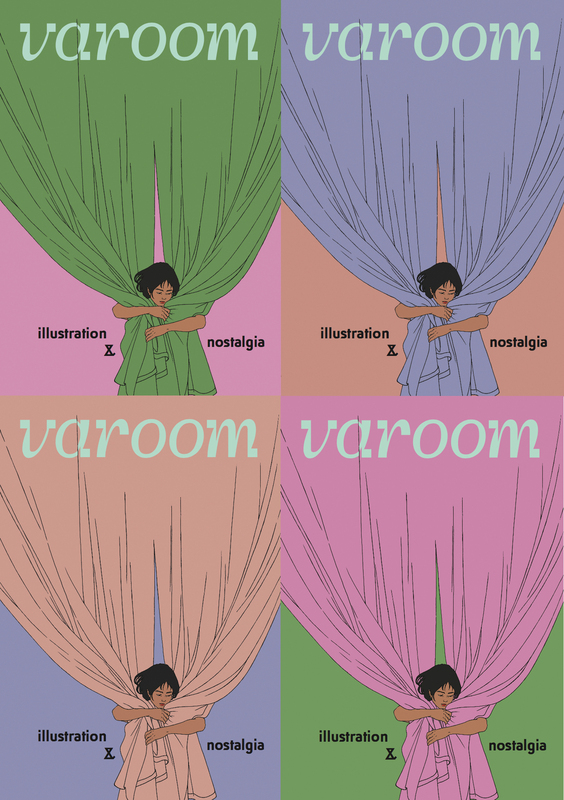 Varoom: Could you talk us through the concept for your Varoom cover? How does it express the theme of nostalgia? Manshen Lo: It is above all a very personal concept – I’m sure there are people feel very differently. But for me, the concept of nostalgia relates to a soft and organic sensation; textured and weighty rather than silky or feathery. 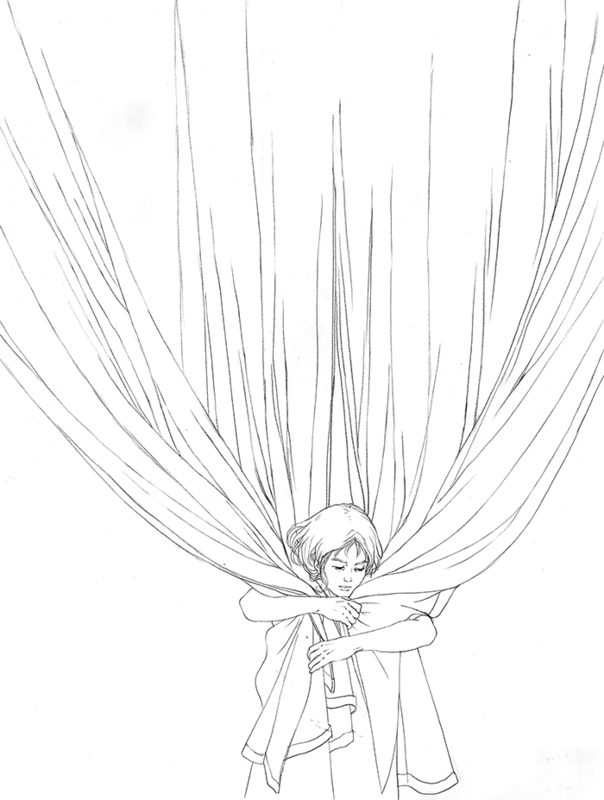 So, I’d like to feature a thick weighty fabric to communicate this feeling visually, like a curtain, or blanket. And their connection to the human body — wrapping around it, partly hiding it, and seized by it. The imagery should reflect a very strong sense of longing. What was your working process? Do you use reference material/a model? Do you draw by hand or work digitally, or perhaps a combination? 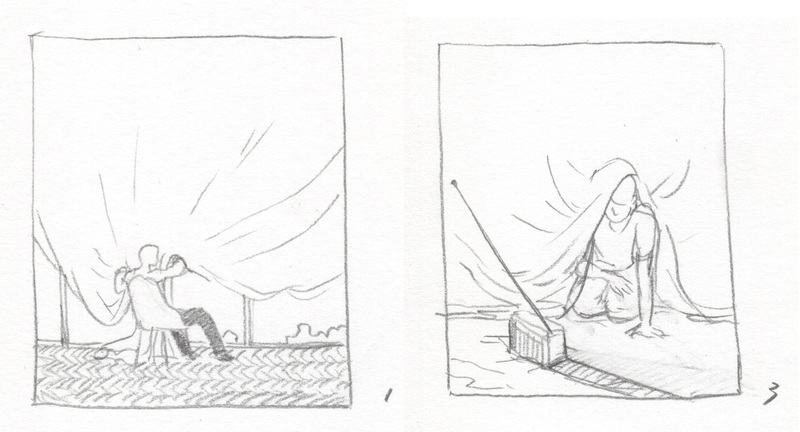 I usually make very rough thumbnails when the idea pops into my head, then sketch on a bigger size paper to lock down the composition and details, based on which I make multiple passes of hugely simplified line drawing in pencil, followed by final brush inking. All the colours are done in computer. Therefore it’s a combination. 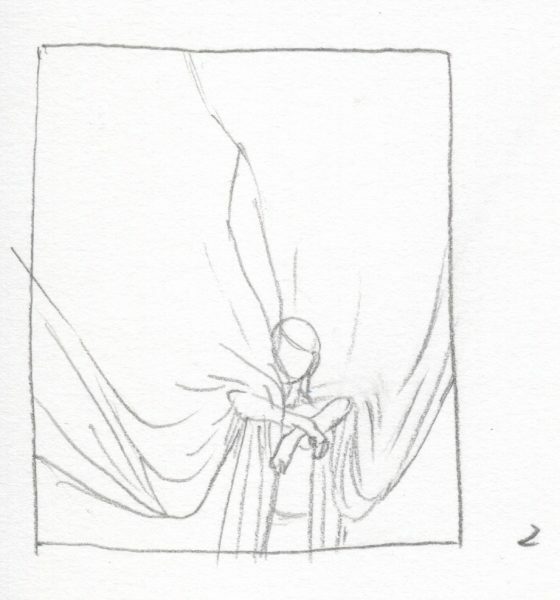 I do use reference, especially for hands and wrists, as they are the hardest to do, people around me usually becomes my accidental hand models; I very rarely use reference for facial features though – it’s easier to make up the eyes and noses.